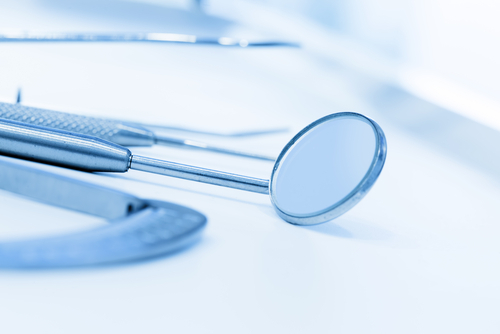 Sedation Dentistry: How Does It Work? Going to see a dentist to have your teeth cleaned is an essential step to maintaining your overall health. Hygienists remove plaque that builds up on the tooth’s enamel that could otherwise cause gum disease and tooth decay. The only problem is that going to the dentist’s office can be intimidating for a lot of people. Our mouths and our faces are private places, and it can be uncomfortable to have another person working on your teeth. Thankfully, some procedures can limit the anxiety over visiting the dentist, and nervous patients can find relief through sedation. Minimal sedation – This treatment gives the patient nitrous oxide through a breathing mask. Sometimes referred to as laughing gas, nitrous oxide is combined with oxygen to provide the patient with a deep sense of ease. The mask is placed over the nose, and it works after just a few breaths. During the procedure, the dentist will be able to monitor the amount of gas that is delivered to the patient, and they will control the levels to keep you at a pleasant level. This type of sedation wears off quickly and allows the patient to return to normal after their teeth are clean. Unlike other forms of sedation, the patient can drive home safely after his or her visit almost immediately. Oral sedation – Instead of inhaling the medication, patients using oral sedation take a small pill before the dentist begins their work. A common type of oral sedation is prescribing the patient with a dose of Halcion, which is a benzodiazepine. The effects are similar to Valium, and the pill will make the patient drowsy. Some patients fall asleep during the visit but are easily woken up after the dentist has finished. The dose can be increased to help patients with severe anxiety, but they will not be able to drive home afterward safely. IV sedation – This type of treatment is considered to be a moderate form of sedation, and the medication is administered to the patient through an injection. The IV is controlled by the dentist and provides the patient with a steady dose of medicine throughout the entire procedure. Unlike oral sedation, this procedure can be quickly adjusted to provide the patient with a greater sense of relief, and it is considered one of the more powerful forms of sedation. During the treatment, the patient’s anxiety, ability to form memories, and their perception of pain are significantly reduced. The patient will experience an altered state of consciousness, and you will need time before the effects completely wear off. However, for patients with a great fear of visiting the dentist, this form of sedation is highly effective. For 42 years, the dentists of Passes Dental Care have served the people of the Great Neck area with pride and distinction. We have the experience and treatment technology to provide you the best possible sedation dental care. Contact us at (516) 858-5921 to schedule an appointment with us today. What Toothbrush is Right for You?